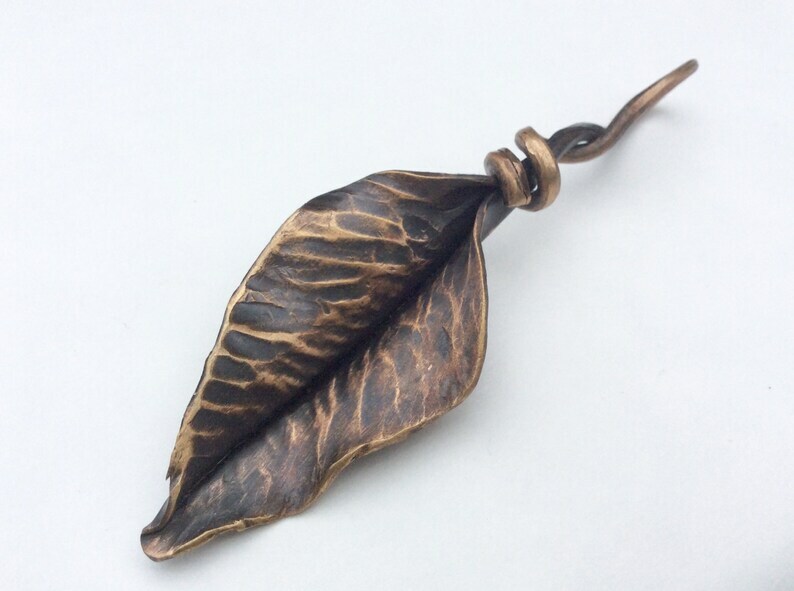 These leaves begin with a flat sheet of bronze cut in the shape of a leaf and stem. I then texture and forge them into a flowing ivy leaf form with the stem twisting into a loop to hang from a cord, chain, or keychain. This particular leaf measures 3-3/4 inches long. Brass chains in varying lengths are available for an additional $5. Please contact me to order. Return to my shop at https://www.etsy.com/shop/kskilesjewelry. I will sell items from my shop whole to verified brick-and-mortar businesses in North America. Please contact me through Etsy for more details.